This section covers the more advanced 3D drawing methods. 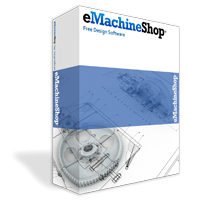 You might want to skip this section and return later if you are new to eMachineShop. Use the Line | Contour command and manual adjustments such as by nudging to create the contour lines. Set the Z value for each line. Consider using Comments to Machinist “Hand sand to remove steps” or “Contour mill to remove steps”. Also see the Revolve capability which allows for complex “turned” curved shapes. The eMachineShop CAD limits shapes to those that can be made by motion of the cutters vertically or X/Y motion of the material along straight lines or curves, but not simultaneous motion of all 3 axis, as doing so generally increases costs substantially and significantly complicates the interface. Knowing these capabilities and limitations allows you to determine what is possible and insures that the parts you design will be economical to make. 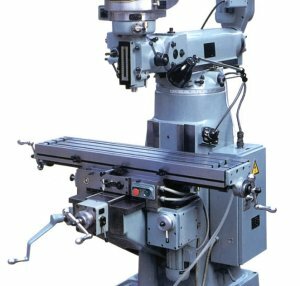 Many more shapes are possible using the revolve feature which is the basis for turning parts on a lathe or turning center. Examples of possible shapes include the parts shown on various pages of this web site such as the main gallery. You will see that a quite diverse array of shapes are possible. Examples of shapes that cannot be modeled include those with complex curves such as statues, faces and computer mice, although there are tricks to achieve some complex curved shapes. It is also impractical to mill recesses that cannot be reached, such as a bore on an inside wall of a five side box. An angled wall is one at an angle other than 90 degrees. You can create angled walls on outside or inside shapes. For example, you might want a tapered wall inside a round hole or when designing injection molded or cast parts, you may need to use walls of about 92 degrees to allow your part to be easily removed from the mold. Set Line | Machine | Auto | Side Wall | Angle to the desired angle. 3D shapes that cannot be modeled directly in the CAD can often be described using the Comment feature. Draw the shape of the male component. Select Line | Corner | Mate | Inside. Enter the desired radius – it is recommended to use the largest acceptable radius. Increase the size of the female shape slightly for clearance and tolerance using Line | Contour | Outside. Draw a circle of the desired corner diameter – say .25″. Typically you can use the Minimum Cutter Diameter value. Click the Repeat button three times. Drag the circles so that their top snap points snap to each corner of the rectangle. Rotate each circle around the rectangle’s corner the appropriate multiple of 45 degrees. Set Z to Air Inside. Sharp inside corners are problematic because most cutting processes use round tools. Round cutting tools can make sharp outside corners and sharp corners at the bottom of a pocket but not at the corners of the walls of a pocket. Imagine taking a block of ice and creating a square pocket (recess) with a round hot metal rod – you can’t get sharp corners at the walls of the pocket because the rod is round. For 2D processes (cutting sheets) tools are often very thin so you can get close to a sharp corner. For 3D processes tools of small diameter can be used but they usually cannot reach deeply as they will break. Note: 3D shapes that cannot be modeled directly in the CAD can often be described using the Comment feature.